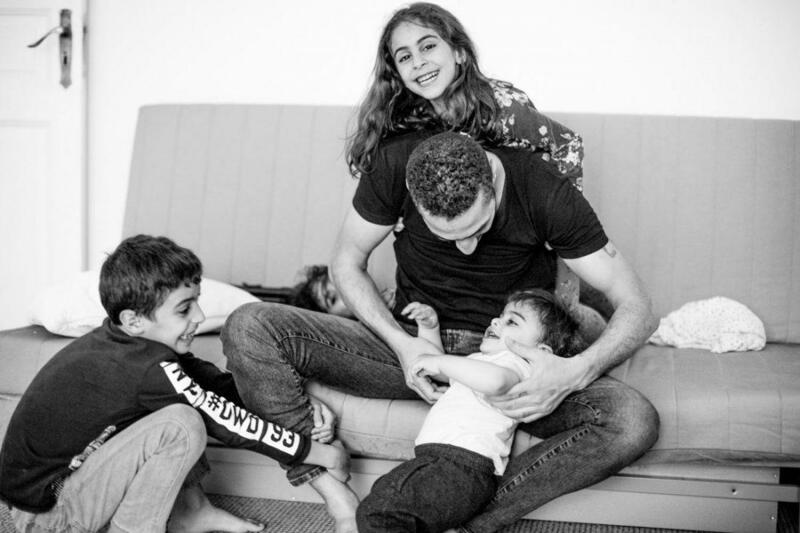 Refugee Ahmed Issa plays with his children. Centre County people are raising money for Ahmed's brother to bring his wife and children to Berlin. The Centre County Refugee Welcome Committee is stuck in a holding pattern. The committee, which includes eleven religious groups, had hoped to be helping a refugee family settle in Centre County this year, according to member Penny Eifrig. The Committee is now waiting until October to find out whether Church World Services will be sending a refugee family to Centre County. Refugees continue to pour out of Syria and other hot spots in the Middle East. But President Trump cut the number of refugees the United States will accept from about 100,000 to only 50,000. Phil Jones is a Boalsburg minister who was instrumental in helping a refugee family from the Middle East settle here a few years ago. He says the need is too great for Americans to turn away. Eifrig volunteered helping refugees in Berlin. But she says Americans don’t have to look that far to understand what it means to be a refugee. Michael Ozaki is Associate Pastor at the State College Presbyterian Church, which is one of the religious organizations in the Centre County Refugee Welcome Committee. He says that while federal policy has turned against refugees, Centre County can be a place for what he calls "radical welcome." State College Mayor Elizabeth Goreham supports the committee’s hopes to bring more refugees to Centre County. She says refugees make Centre County a better place. The soonest the committee will find out whether a refugee family is coming through Church World Services will be next month. In the meantime, people who want to help are being asked to donate to help one of the Syrian refugees Penny Eifrig met in Berlin. She says if Mohammed Issa gets enough donations, he can move his family out of a refugee camp to join him in Berlin. People who are interested in that effort can follow links at the WPSU website. Photo exhibits on refugee children will open this fall in State College.